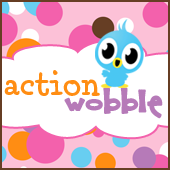 Action Wobbles: You are Crab-ulous! Tonya here with a bit of inspiration. My creation was inspired by the Peachy Keen Stamps challenge & a new Cardz TV stamp set. Head over to my blog for more details.